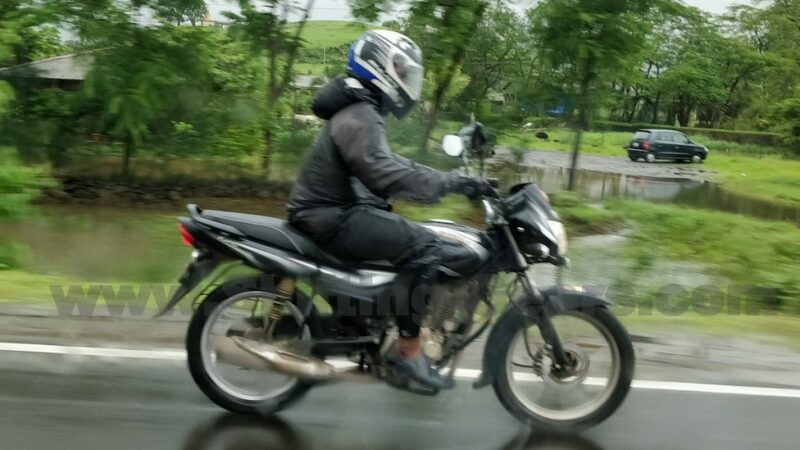 After launching 110cc and 125cc variants of the new Discover earlier this year, Bajaj is now testing a more affordable 125cc commuter based on the Platina. Likely to be called the Platina 125, the new commuter motorcycle is expected to feature the same ergonomic design of its younger sibling, the 100cc Platina Comfortec. From the spy shots, it is evident that the new variant features the same boxy headlamp cowl with LED DRLs and the plush single-piece seat. It also gets ‘125’ badging on the tail panel to differentiate it from its smaller brother. Expect Bajaj to employ the Discover 125’s engine in this motorcycle. However, the engine casing seems to be finished in gold instead of the dull grey finish seen on the Discover. Working in conjunction with a 5-speed transmission, the Discover’s 124.5cc, single-cylinder, air-cooled motor is good for 11PS of power at 7500 rpm, and 11Nm of torque at 5500 rpm. Compared to the 100cc Platina, this engine makes 3.1PS and 2.66Nm more. If the Platina uses the Discover’s powertrain, the highway efficiency is bound to go up thanks to the 5-speed gearbox. The test mule of the Platina 125 seems to be equipped with the same telescopic forks and twin Spring N Spring (SNS) shock absorbers from the 100cc Platina. It also gets a front disc brake and rear drum unit as opposed to drum brakes on both ends in the 100cc version. We expect the production-spec motorcycle to be offered with a more affordable front drum brake variant as well. While there’s no official word on the bike’s launch, Bajaj is expected to launch the commuter during the festive season. It is likely to be priced below the Discover 125, which retails from Rs 55,667 (ex-showroom Delhi). When launched, the Platina 125 will go up against the Honda CB Shine (Rs 57,397), Yamaha Saluto 125 (Rs 56,364) and the Hero Super Splendor (Rs 58,100).